Looking for a fun after school baking activity? Mix applesauce into cinnamon muffins. If you’d like to add a little extra flavor and nutrition, stir in grated carrot or zucchini. 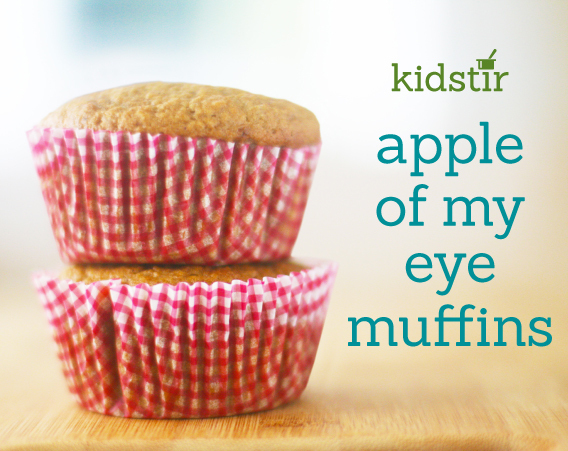 Eat the moist muffins for school day breakfasts, lunch, or snacktime. 1. Preheat the oven to 350°. Butter the cups of a mini (or regular) muffin pan. Or line with paper liners. 2. Measure the flour, baking powder, baking soda, salt, and cinnamon into a large mixing bowl and stir it all together. 3. Crack the egg into a separate bowl and whisk away. Mix in the brown sugar. Then add the melted butter and applesauce. You can also stir in the grated carrot or zucchini, if you’d like. 4. Pour the applesauce mixture over the flour mixture and stir until all the flour disappears. 5. Spoon the batter into the muffin cups, filling each about two-thirds full. 6. Bake the muffins for 15 minutes (bake regular size muffins for 20 minutes).